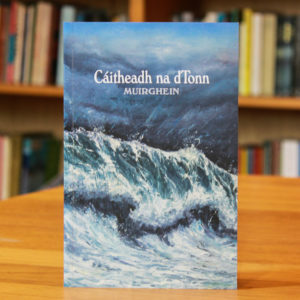 Cáitheadh na dTonn contains a novella, two short stories and a drama. The stories illustrate the life and times of people in the Donegal Gaeltacht at the turn of the last century. The book is a reissue of the original, first published in 1934, edited and updated with modern spelling and orthography. 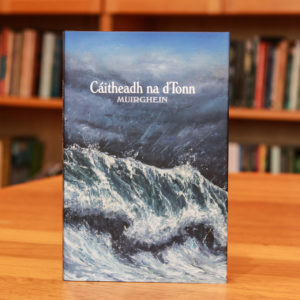 Muirghein (Pádraig Ó Gallchobhair) gives a lively social account of a rural community seeking to progress against the backdrop of poverty, political turmoil and emigration, prevalent in Ireland at the founding of the new state. Set in Gaoth Dobhair, this book is also significant for its rich literature and intimate account of social life.